A little more than a month ago Phase One contacted me about a new camera they were developing and came straight out of their R&D department. A brand new digital back in their IQ3 line-up: the IQ3 Achromatic 100MP. Back in 2015, during one of my workshops in New York City, I got the chance to work with the IQ260 Achromatic (basically the predecessor of the IQ3 Achromatic) and I was more than impressed. So of course when Phase One asked if I, by any chance, would be interested in giving the new digital back a thorough test-drive, I didn’t need to think twice. Today, Wednesday May 10 2017, Phase One officially released the new Achromatic back to the rest of the world. And it’s my pleasure to share with you my test results including 3 high resolution downloadable samples. Before I get into the user experience and the example images, here’s a quick rundown on the specifications of the IQ3 Achromatic digital back. Just to give you an idea on what I’m working with in this test. Besides the digital back, I was also provided a Phase One XF Body and several Leaf Shutter lenses. Formatt Hitech Firecrest ND Filters, more specifically the 95mm and 105mm 10 and 6 stops ND Firecrest filters generously provided by F-H. (Spoiler: they proved to have a quality that could match the critical quality of the 100 Mp digital back). Before I go into detail on the specifics of the camera and the results, I first want to start addressing a question many digital photographers may have: why do we need a black and white only camera, even when many photographers primarily produce black and white images? 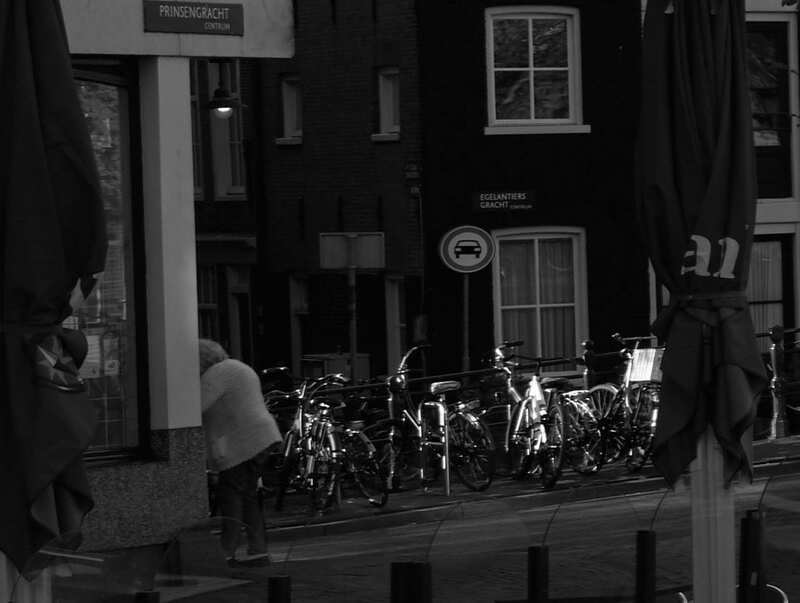 Isn’t it easier to convert to black and white in post-production? That’s a valid question, since I also use photo editing software like Photoshop to enhance my black and white images, whether they’re color or black and white doesn’t matter to me. If you’re not interested in this topic, then skip this to go to the next section. The people who have read my previous article, In Defense of Black and White Photography, will know the justification for black and white photography in this digital day and age. If you haven’t read it, it may explain quite a few question marks. In my upcoming article I will go into various ways of converting or better yet, processing, images to black and white images. Conversion, in my approach, implies a (third party) software algorithm, to translate and interpolate color images to black and white, while processing doesn’t involve an algorithm but is much more individual. Usually with color images, you convert it first, using Photoshops features or plugins, then process it. My view on black and white photography as advocated in In Defense of Black and White Photography and the advised way to process black and white images from color, that I will explain in detail in my upcoming article, is without conversion, but with a neutral desaturation and then work (process) from there. The conversion is what I try to avoid in post processing, by approaching the pure capturing of intensities of light only (or luminance and its differences only), through desaturation. (Note that desaturation is theoretically a neutral version without affecting luminance values, but not in Photoshop that averages out each RGB pixel to generate the gray value, but it comes close to neutral in practice. The exact neutral B&W version of a color image in Photoshop is the luminosity blending mode version of it that I will discuss in part 2 of my Guide to B&W photography). 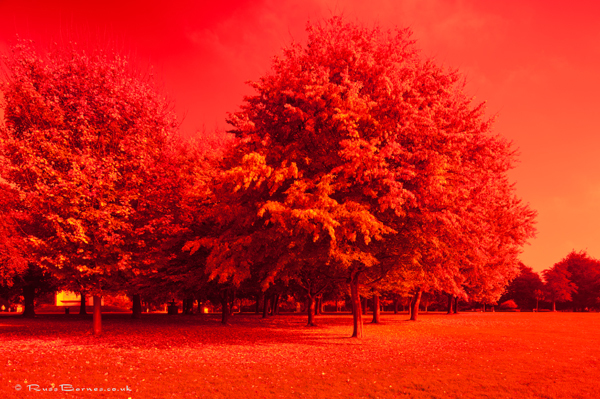 (1) Photo sensor captures light information + (1a) color information (wavelength range) through the CFA > (2) raw data is converted to a full color image through a specific algorithm dependent on the CFA used > (3) photographer processes image in post-production (optional). 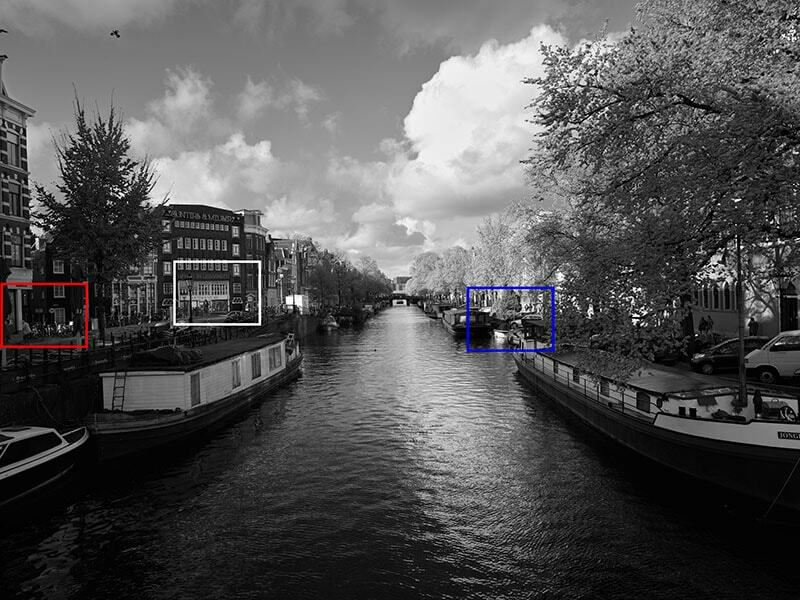 (1) Photo sensor captures light information + (1a) color information (wavelength range) through the CFA > (2) raw data is converted to a full color image through a specific algorithm dependent on the CFA used > (3) photographer converts or removes color data to black and white > (4) photographer further processes image in post-production (optional). As a black and white photographer with a black and white only digital sensor you skip steps 1a, 2 and 3 and all interpolations that are only useful for color photographers and completely redundant for black and white photographers and actually have unwanted external effects. 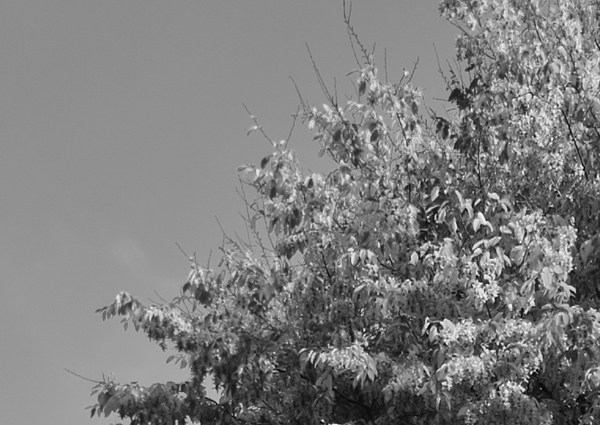 This is more pure information that can result in better black and white photos. The Phase One IQ3 Achromatic 100 MP with XF body is a continuation of Phase One’s modular approach with a body that’s the same as the one recently released and a digital back that has the same specs as the IQ3 100 MP but of course without the color filter array and with a native ISO of 200 instead of 50. As was expected, the camera is a bit heavier and bulkier than the average DSLR but I got used to its size and weight very quickly, so much so that my regular Canon 50 MP DSLR felt a bit light afterwards. The user interface is very intuitive and after an hour of playing around with the camera it felt like I’ve never used anything else. This medium format camera is actually easier to understand intuitively than the average DSLR in my opinion. The clear and simple to use touch screens, both LCD display on the digital back as the display on top of the camera body are touch screens, contributed to that largely. I know all camera menus off the top of my head after using it for a few weeks, which I can’t say of all the menus of my Canon after using Canon for 10 years already. I’ve always liked the modular approach of the Phase One cameras and to customize the camera exactly to your liking. 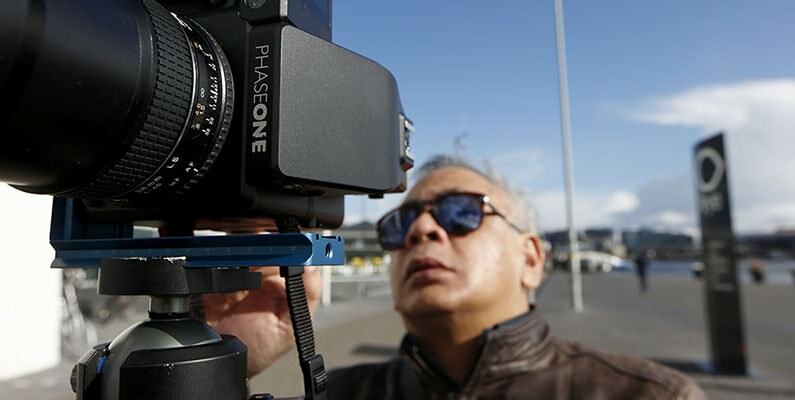 Prefer the waist level viewfinder to the prism viewfinder? Changing viewfinders can’t be made easier and faster but I found using the live-view feature the best way to compose and focus my shots manually. Zooming in on the photos in live-view is easy by just tapping on the screen. The digital back sits very tightly against the back of the body but is easy to remove to access the sensor with no problems for fast and effective cleaning purposes. And cleaning the sensor is something I needed to do more often but also that is just a routine activity that anyone can do. The first results were very impressive, the dynamic range of 15 stops makes shooting and processing photos so much easier. More on that later. The quality of straight out of the camera black and white photos does have no match in today’s world of digital photography: the smoothness and subtlety of gray tones and luminance differences have the look and feel of analog medium format. Usually when you shoot with a good DSLR and a quality lens, there’s either too much contrast or not enough, but rarely exactly right. The IQ3 Achromatic was always exactly right. So smooth and yet so clear in contrast at the same time that post-processing the image was faster, more accurate and more beautiful. 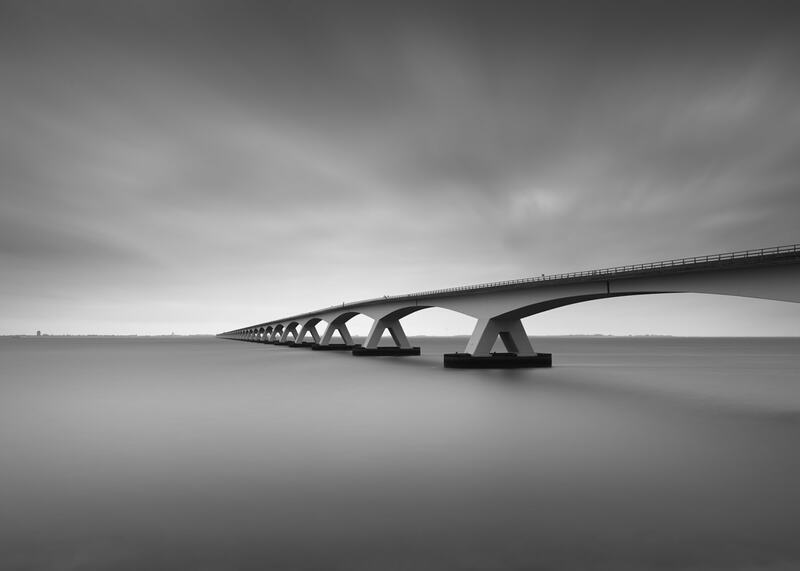 The IQ3 Achromatic has a maximum exposure time of 60 minutes, more than enough for a long exposure photographer. Shooting long exposures is simpler and faster than with a DSLR: either you calculate the exposure time yourself and set the desired long exposure time by just dialing in the time with the camera set to manual mode, or you go to the touch screen on the LCD display of the digital back and you navigate to Exposure Calculator. The only thing you have to do then is to set the number of ND-stops you’re using and the camera does the calculation itself and you only have to depress the shutter button. No remote with lock is needed, and you can delay the shutter for a few seconds after depressing the button to avoid vibration. The quality of the long exposure photos is second to none: no noise, clear, crisp and neutral. The IQ3 Achromatic has live view, exposure times up to 60 minutes and 15 stops dynamic range. Whereas the IQ260 Achromatic only had exposure times up to 2 minutes, 13 stops dynamic range and no live view. Combined with 100MP and a 40.4 by 53.7mm sensor size, the IQ3 Achromatic should be an excellent candidate for long exposure photography. It even has a built-in exposure calculator and with the self-timer delay to start the long exposure with, a remote control isn’t needed. Accessing the exposure calculator through the touch screen LCD on the back, you will see that the aperture, shutter speed and ISO are already filled with the correct values from the most actual settings on your camera. You just need to select the right ND filter and it will automatically calculate the correct exposure time with filter. You can easily control focus and composition via Live-view, then attach the ND filters, and make sure the camera is set to manual before starting the long exposure. Optionally you can set a timer delay from a half second up to a minute, to avoid vibration when depressing the shutter button on the camera to start the long exposure. You won’t need a remote control for this camera. As soon as you’ve depressed the shutter button, the long exposure will start and finally finish with an equally long dark frame exposure for noise reduction. You cannot switch off the internal noise reduction, but the results are worth the (additional) wait. Alternatively you can skip the Exposure Calculator feature and start a long exposure by setting the camera to Manual and then dial the desired long exposure time. A dark frame exposure will also be automatically triggered in that case. The long exposure photographs have all been taken with the Formatt-Hitech Firecrest 10 stops and 6 stops circular ND filters, stacked to make for a 16 stops ND. Even though I knew the Firecrests were performing great on a DSLR, it remained a question, how good they would perform on a camera with the best performing sensor available and using medium format lenses that match that sensor, until I’ve tried it out myself. You can see some of the results in the images but I think they performed flawlessly. The image above was shot at a focal length of 35mm using the Schneider Kreuznach 35mm LS lens. For your reference that is equivalant to shooting at 22mm on a full frame sensor (i.e. 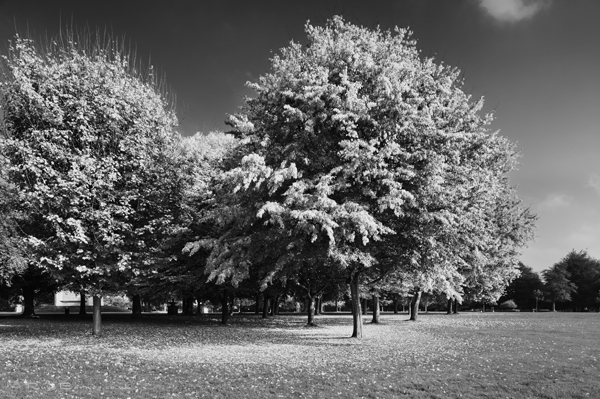 Canon 5DsR) or 14mm on a crop (aps-c) sensor (i.e. Canon 7D mkii). Even though I used a very wide angle lens, I was positively surprised by the amount of detail I managed to capture and the overall sharpness of the image. You can click the images below to look at some 100% crops. 100% crop of the left side of the image. Click to enlarge. 100% crop of the middle of the image. Click to enlarge. 100% crop of the right side of the image. Click to enlarge. 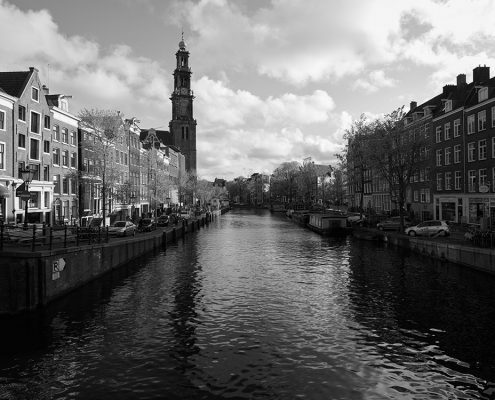 Like the Canals of Amsterdam image, this photo was shot with the 35mm LS lens. This time I used Formatt Hitechs Firecrest ND filters with a total of 16 stops to expose the image at 240 seconds. I enhanced the image fairly quickly in Photoshop. 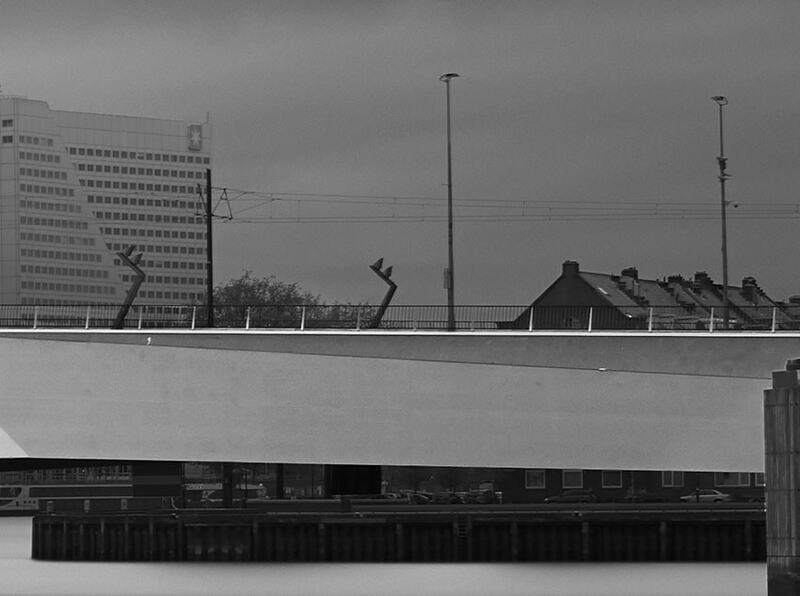 Of course it isn’t a fair comparison but just to give you an impression of the quality of the Phase One back: back in 2013 I shot this bridge with my Canon 5D mkiii. 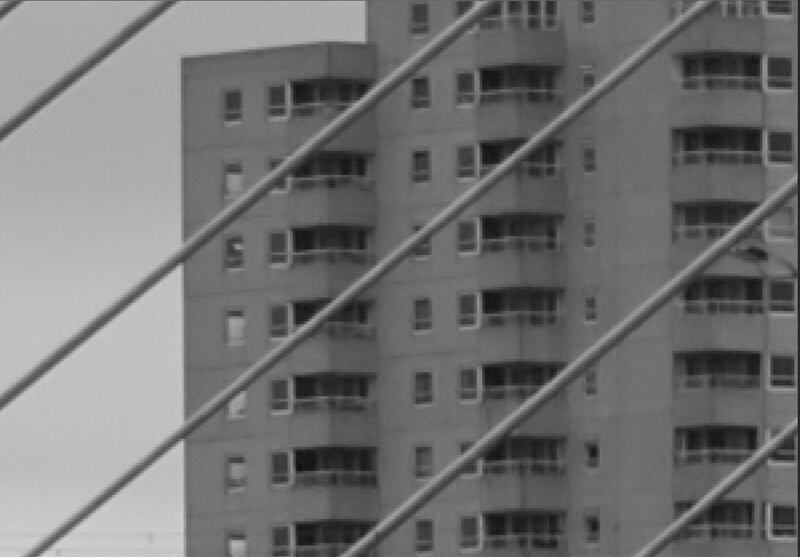 I remember how hard it was to select the cables of the bridge, there wasn’t clear detail in some parts, edges looked more jagged and the contrast between the cables and the sky were at parts almost non-existent and sometimes the contrast was just too much. Of course the lack of details are due to the smaller resolution of the Canon’s 22,3 MP sensor but lack of subtlety in luminance differences isn’t only due to the smaller resolution but largely also the result of the difference in quality of the sensor and the way the CFA interpolates color in the Canon color sensor. Each one of the cables stands out on its own and have a far larger amount of subtlety in tonal variation that makes it easier in post processing and in appreciating the image. The camera will record the tiniest details, even in the darker parts of the image. There are cleary some parked cars visible – right under the bridge. If you look even more closely you can just about make out two people sitting on a bench. Do note that I shot this image about a 1/4 mile (400m) away from where the cars are parked, with a 35mm lens. 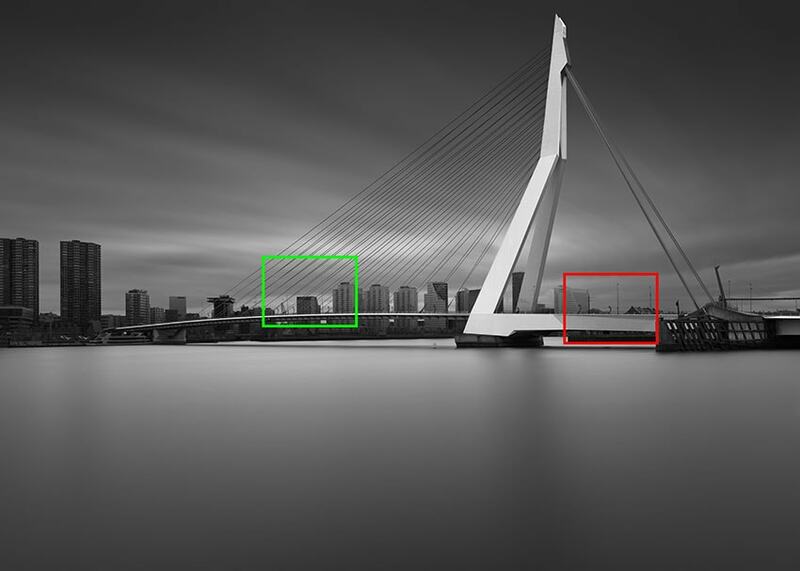 700% crop of a similar Erasmus bridge photo taken with the Canon 5DIII at a similar distance as the Phase One Achromatic 2017 version with a 24mm Tilt-Shift lens. The cables look a bit rough and choppy compared to the Phase One photo and weren’t easy to select accurately for post processing purposes. 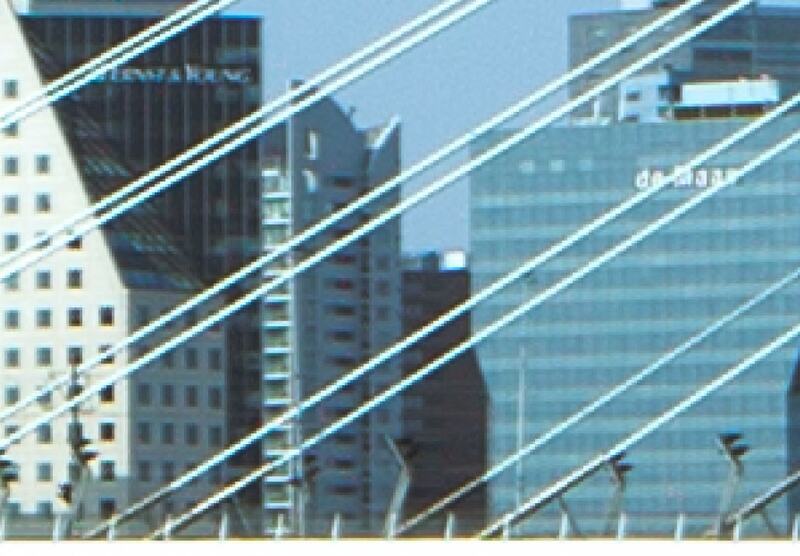 700% crop of the Phase One Erasmus Bridge photo taken with the 35mm lens that translates roughly to a 22mm on a full-frame DSLR. The cables have more subtle contrast and look more refined. Selecting the cables in Photoshop accurately for post-processing was much easier and faster. 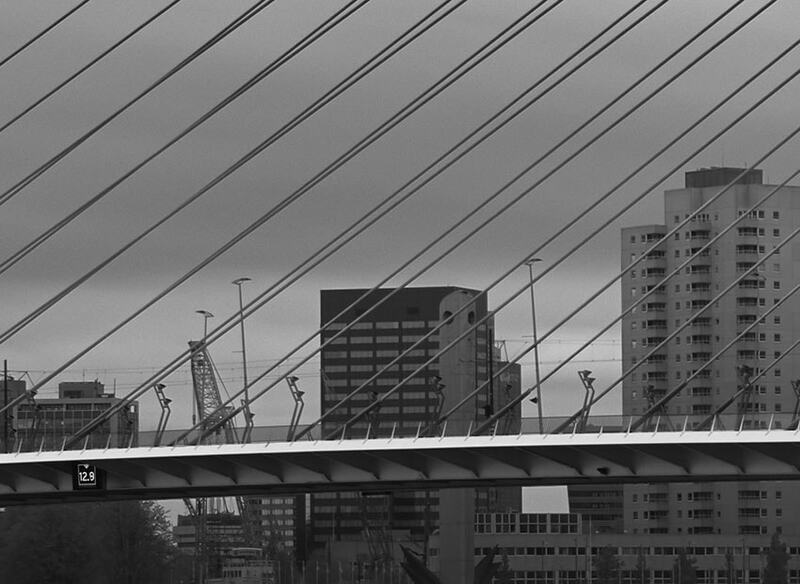 Either way, the cables were much easier to tackle for the Phase One IQ3 Achromatic 100MP. As you can see on the 100% crops below, the cables looked crystal clear and very well defined. Even the tram lines look good. If you ever wondered how a 100MP image from an achromatic digital back looks like, here are three full resolution, unedited, straight out of the camera images that you can download as tiff files. Please do note that these images are for you viewing pleasure only. They are copyrighted and it’s not allowed to use these images otherwise without prior permission from the copyright owner. 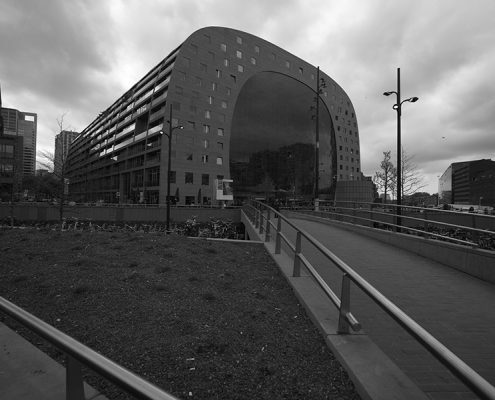 The first image is shot at the Markthal in Rotterdam with the IQ3 achromatic and the Schneider Kreuznach 28mm LS lens. The preview image looks quite desolate, but once you zoom in, you will discover many people walking around. 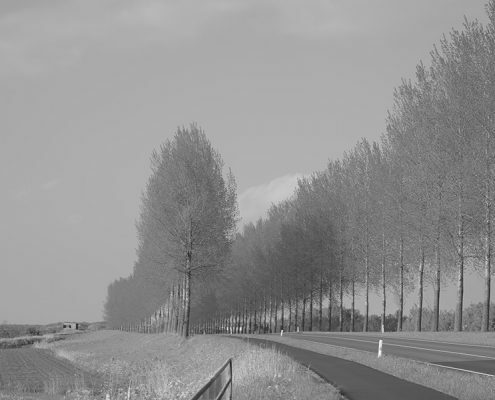 The second image is taken in the South of The Netherlands with the Schneider Kreuznach 120mm TS f/5.6 lens with a 2 degrees tilt and a slight upward shift. 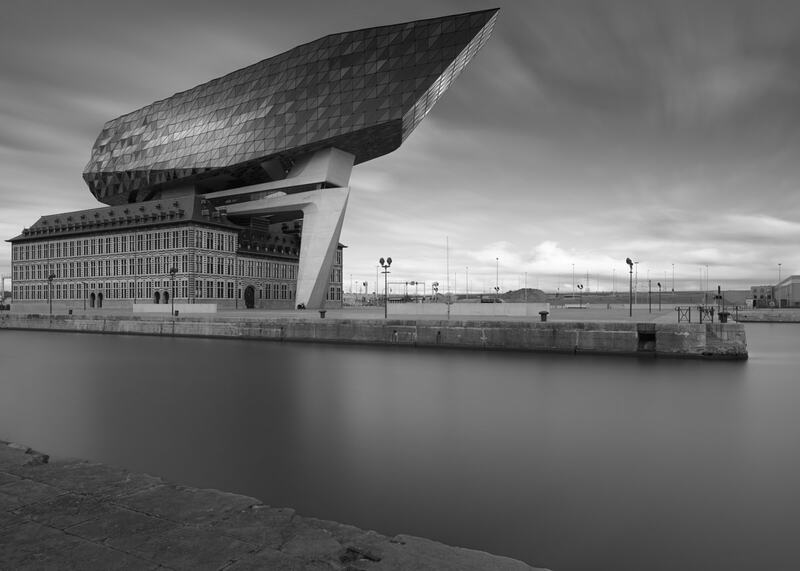 This image showcases how well the IQ3 Achromatic handles all kinds of textures. 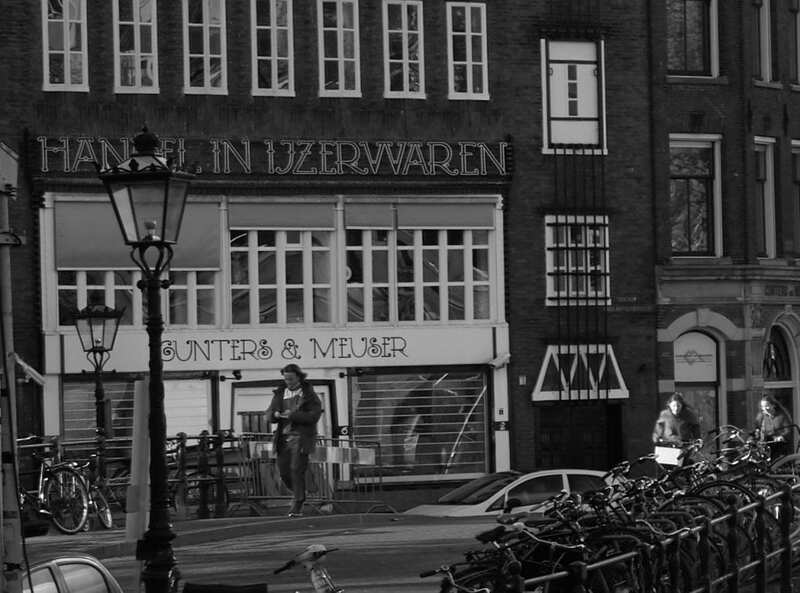 The third image is an image of the Prinsengracht in Amsterdam, with the camera pointed at the Anne Frank House. You can see people standing in line to enter the museum and see the ticket booth with the sign ‘museum tickets’ in the back. 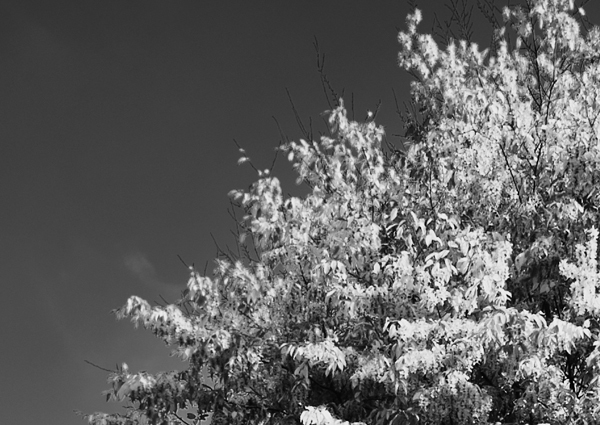 Photo taken with the IQ3 achromatic and Schneider Kreuznach 35mm LS lens. I appreciate your review, and especially the full res tiffs to play with. Did you have a chance to play with color filters, or only the ND filter’s IR cut was the only thing you used to adjust the spectrum? If you did, then I hope that you will come up with another article about that subject, because I think that is a very important aspect of the black and white photography. Thanks Tom, I haven’t played with the color filters, I will surely do that the next time and write about it. Does it allow you to frame in square format. Earlier ones didn’t. Thanks for your review and your beautiful images. Any plans to make a massive print of the images shot? I’m always curious to see how such technology equates to something tangible. Tom, I always take and process my images with the final print in mind. That’s my final objective with any photo I take: for it to be printed, else there’s no need for such high resoluation. And especially with the photos from this back I can’t wait to have them printed, large! Great article, Joel. I’m happy to know a few answers to questions that have long been bugging me about a dedicated B&W camera, and you have cleared up a few things for me indeed. I’m glad to know that this new version will capture frames at longer than 2 minutes. I don’t see the need for 60 minutes, but that’s neither here nor there really. The one thing that I do wish would be addressed, perhaps in a firmware update, would be the built-in (and unchangeable) LE Noise Reduction feature. Waiting 16 minutes is a lot different than waiting 8. We are already battling increasing and/or fading light as it is… to waist that time on a black frame capture makes no sense to me when post production steps can do just the same. Now onto the REAL question at hand…. How in the heck does your current computer set-up handle the excessive layering in Photoshop that you (and me, and many others) do. On my wimpy megapixel camera (by comparison) my working files are approaching the 2GB file size. Now, these are only the working files of course and will shrink back down once I begin to throw layers away that are no longer needed. I’m guessing that with a 100mp file, adding only a few layers in PS could potentially cause the file to become unmanageable in size and processing, no? It seems that even 32mb of RAM coupled with the top-dog processors out there will have fairly significant render times. Am I correct in this line of thinking? These cameras are amazing, but have they surpassed our computer’s ability to process the files? Well, at least in the terms of the excessive processing that so many of us do.